10 Keys to a Better Life as a Fanboy: 5. Forewarned is Forearmed? This may be the most difficult of my guidelines in which to practice what you preach but it is completely possible. Basically, what this means is that if you find yourself to forming prejudicial opinions when hearing news tidbits about an upcoming films try and avoid them. Granted this is becoming increasingly difficult in a wired world but it is possible. 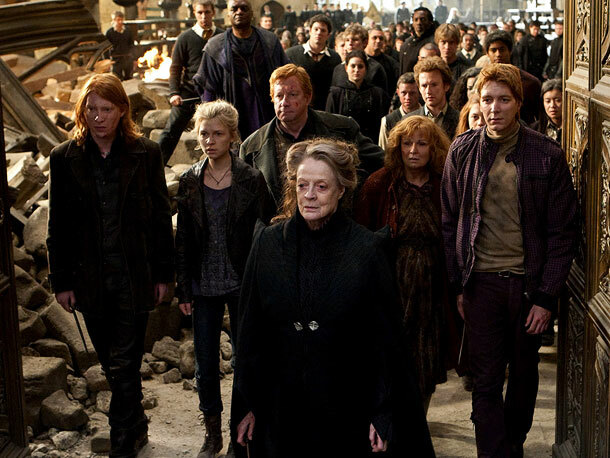 For example, I wrote about the split in the Harry Potter and the Deathly Hallows films. Curiosity got the better of me and I looked into what they picked and thus opined on it. However, none of the headlines I saw gave it away had I not clicked the link I’d be none the wiser. Now, of course, casting news is usually a giveaway. It’ll be in the headline that so-and-so was cast in a given role but what I’ve learned in those scenarios is that I have been surprised many times by such decisions so I no longer read too much into those. This feeds into the blank slate argument but basically the less about the production you can manage to absorb and form an opinion on before you see the film the better off you will be.